An EP alloyed semi synthetic calcium-soap grease of NLGI classification 2, with a high base oil viscosity which offer a strong adhesive character and water-resistance. 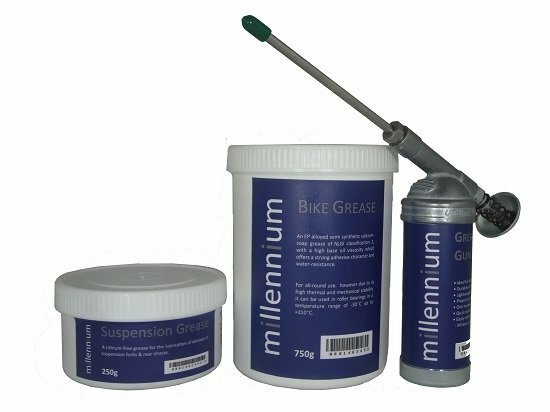 Available in a 750g tub with slider for easy grease gun re-filling, 125g Tub also available. Suspension Grease and Grease Gun not included.